You are probably reading the title to this section and thinking, "I know that!" But do you really? Wanting to be rich is not a goal, it is an idea. That is why it is so hard to achieve for so many. Narrowing that goal of focusing on earning $100, $1000, or $1 million has you headed in the right direction, but it is not laser-focused enough. Don't let the outside world dictate the dream you have for your life! Don't let them cover your eyes to the possibilites that come from deep inside you! You are built with greatness inside. Plain and simple. It doesn't matter where you are or what you've been through. Your dreams are no less significant. The thing is, though that you have to pull those dreams out of you and decide for yourself, how you are going to go after them. Is it giving up your job and diving all in to creating a business? Is it moving to the other side of the globe (or across the border) and creating a new life? Or is it taking a day for yourself to do...whatever? Spend some time with your journal thinking of your perfect day. The best tip here is taught and personally used by well-known goal and success coach Brian Tracy. He says to stop worrying about your goals for just a minute. Shut off your computer, turn off your cell phone and television, and get comfortable. Now close your eyes and think about the ideal day for you. Everyone is going to have a different view of what the perfect day involves. Yours will be different than someone else's, but all are achievable. Really focus on a 24 hour period that would be absolutely impossible to improve upon. Don't worry about how old you are or how far off in the future this is. You are going to use the incredible goal setting power that each human brain is hardwired with by using this programming process. From the moment you arise on your perfect day, where are you? Where do you live, what type of house do you own, or are you awakening in a vacation resort or a five-star hotel? After you rise from your bed, what activities make up your morning, your midday and your evening. Who do you spend your day with, and what do you do? Be very specific here and let your subconscious desires fill your mind with wonderful pictures of a totally fulfilling, successful and engaging 24 hour time frame. You are harnessing the power of visualization here, a great tool for achieving your goals. Take as long as you need with this step because this is vitally important as the foundation of not only your goal setting but your goal achievement as well. How many square feet is your wonderful home? What exact models and makes of cars do you own? What is the precise figure, down to the penny, in your checking and savings accounts? Now look at your "dream day" and realistically begin working backward to the present. To enjoy the events and experiences that your perfect day and perfect life deliver, what do you need to do? How soon can you begin living the life which your mind is already programmed to help you achieve? What changes will help you begin experiencing and realizing bits and pieces of your perfect future? Be brutally honest with yourself here, and think about 30 days, 90 days, 6 months and 1 year, 5 year and 10 year schedules that are filled with activities which will help you achieve your dream reality. This is a very important step in your achievement process, and it moves into the next phase of an actually achievable goal setting plan. The key here is that you get to decide what you want and on what terms you are willing to get it. Don't compare yourself to anyone else. Make the best decision for you. 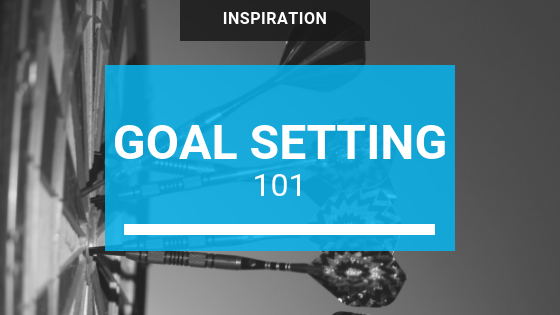 Need help setting and achieving your goals? Download the Goals Journal!